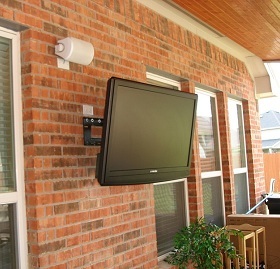 Flat Screen TV's gained popularity due to their compact size taking up less space then the traditional tube televisions. With the revolution of HD technology and other audio and video enhancements, we are watching television with more clarity then ever. TV Mounting takes your entertainment experience one step further by allowing you to position the television wherever you want, not just where a TV stand fits. South Florida TV Mounting can mount your flat-panel television set virtually anywhere you can imagine from standard wall mounts, over the fireplace and even outdoors! To fully understand the complexities of a Flat Screen TV Installation, imagine your current TV setup. It is probably in an entertainment center with all of the cords and electric cords neatly tucked behind it. 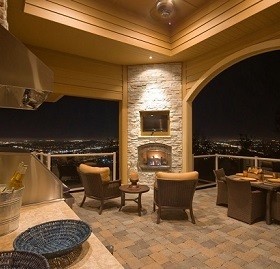 Now imagine a Flat Screen TV mounted to the wall with all of the cables and wires hanging to the ground. Not a pretty picture! The professional Flat Panel TV Installers at South Florida TV Mounting will work within your budget and provide you with the best products and services for your project. Our professional installers will create an installation that will hide all of the wiring and cables giving you a clean, professional Flat Screen TV. South Florida TV Mounting provides our clients with a turnkey solution for flat screen & flat panel television installations. 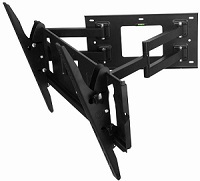 We can provide you with all of the necessary hardware and accessories for your television mounting project*. 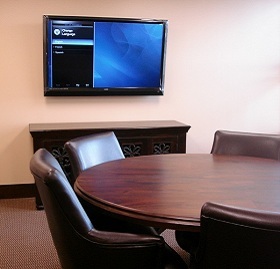 Give us a call today to discuss the installation and mounting of your flat panel television. One of our installers will discuss the needed hardware for your project and in most cases, our hardware and accessories are less expensive than those from major retailers.